A smoothie that’ll actually keep you fueled and hunger at bay. Last summer, I was on a quest to make a gluten-free strawberry shortcake but instead went to another direction by making a Double Layer Lemon Custard with Strawberry Compote... sounds super fancy and yes, it’s a bit labor intensive. I’m not the biggest fan of baking so, I’m back at square one and also avoiding the oven for legitimate reasons, hear me out: 1) we need more hydrating foods in our diet especially during summer, 2) making a shake or smoothie is way easier and quicker than any baked cake despite how tasty it is, and 3) I have an epic cake recipe coming soon to celebrate my birthday and a cake recipe you can have on deck to utilize those fresh summer strawberries. Quick to make in 5 minutes, maybe 7 with clean up! 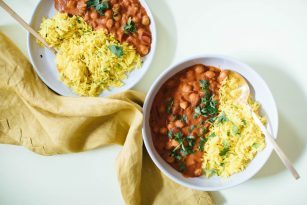 I’ve been enjoying this mid-morning or as an afternoon snack lately, especially when I’m pressed for time since this is so quick and easy to make. It can keep your hunger at bay mid-morning until lunch or in the afternoon before dinner, I also have some clients who guinea pigged this recipe and enjoyed it for a lower sugar dessert and “sweet tooth cravings crusher”! If you try this recipe, I wanna hear about it, so let’s chat! Leave a comment it, rate it (this helps me improve future recipes), and don’t forget to tag a picture #nutritionstripped to show how you live and try these recipes on Instagram! I’d love to see what you come up with, this week! In 1 cup of fresh strawberries, you’ll get about 3g of fiber, which isn’t much compared to how much you need in a day, but for a shake, that’s a great start! To boost the fiber, read the optimizer option below. Coconut milk is one of my favorite sources of healthy fat, it tastes delicious, it’s easy to use in cooking and creating a creamy texture in smoothies and shakes. Plus, coconut milk and coconut, in general, contains a different type of fat (MCT – medium chain triglycerides) that are absorbed and utilized “quickly” compared to long chain triglycerides like ones found in olive oil. Both healthy, both provide health benefits and different culinary uses. Read more on my recent thoughts about the whole “coconut thing”. Including phytonutrients like anthocyanins, tannins, anthocyanins, flavonols, resveratrol, ellagic acid, catechins from the strawberries alone. Strawberries are a great source of vitamin C, in just 1 cup of fresh strawberries there’s about 149% DV of vitamin C- which is important in our overall health from fighting inflammation, collagen production. For a protein boost, add a scoop of your favorite plant-based protein, you can try both a vanilla or chocolate flavor. For a boost of fiber, try using frozen chopped zucchini for a low sugar option or 1 cup frozen raspberries for a lower sugar slightly tangy flavor but loaded with fiber! 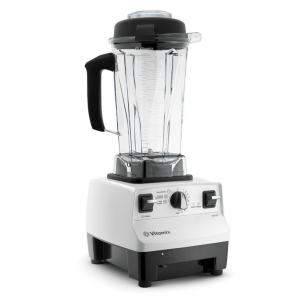 In a high-speed blender, combine all ingredients until smooth and creamy. Serve cold immediately. Canned coconut milk, cashew butter, ghee, vanilla extract, vanilla plant based protein, Sesame Buckwheat Shortbread Cookies, and I sprinkled the shake with freeze dried strawberry powder a la nuts.com!